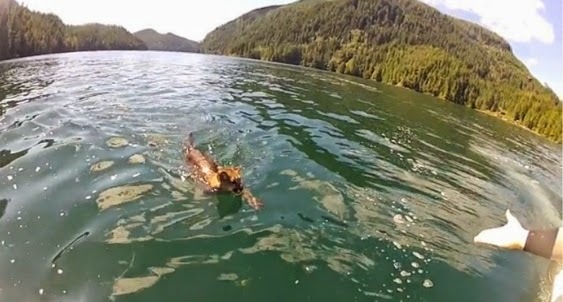 Fishing guide Graham Nielsen had seen wolves and bears swim between islands around Nootka Sound but never a cougar, and never at such a clip as he witnessed last week. On July 15, the operator of Nielsen’s Lodge in Tahsis — a village on Vancouver Island’s west coast, about three hours from Campbell River — took three guests fishing on his 24-foot boat. After reeling in four halibut and eight salmon, they motored back in the late afternoon. “Cougars are great swimmers,” said Thompson, a resource management officer at Pacific Rim National Park Reserve who specializes in cougar-human conflict management and public safety. “They’ll commonly swim between islands in search of prey. Their preferred prey is deer, which also swim well,” she said.